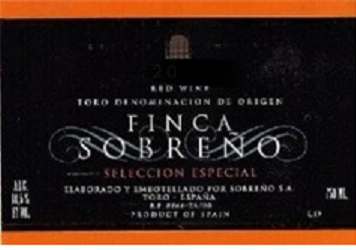 This wine is 100% Tinta de Toro from selected old-vines plots and aged during 14 months in American oak. Deep dark cherry red color with dark purple tones. Powerful yet elegant nose, refined and stylish with ripe berry fruit, spicy complexity with scents of clove, sandalwood, vanilla, chocolate. Muscular, elegant yet silky smooth taste shows fruit preserves/jam blackberry and chocolate truffle. Concentrated and rich but not sweet with superb length. A good match for venison or wild boar with a fruit-based sauce.